We love the JPMBB Physiocarrier. 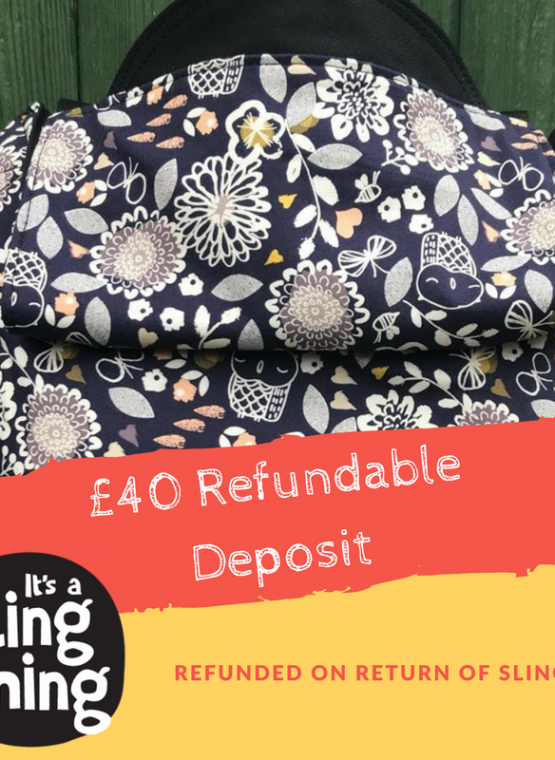 Personally, I have used one with my youngest since 6 weeks and have found it one of the most fuss-free inserts there is, and I still find it comfy with my eldest who is in 4-5 years clothes. 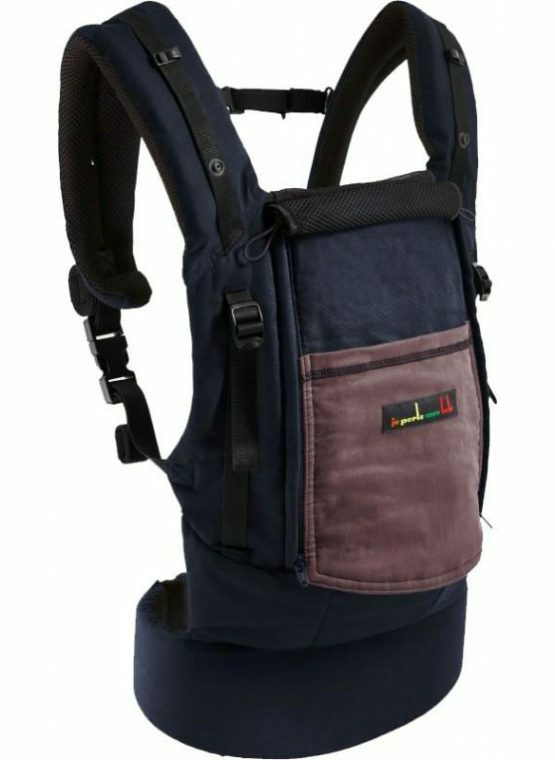 It has a firm, but not rigid waistband, and well padded straps that cross over your back when front carrying, but can be used rucksack style too, if you prefer, it is suitable from newborn to, well, I don’t know becuase neither of mine have yet managed to outgrow it. It is stylish, yet neutral, and so appeals to a wide range of wearers. The zip up panel allows you to have the cool mesh on view allowing air to circulate around your little one, but once the evening draws in and the temperature cools down, just zip the soft cotton panel over the mesh to keep baby snug and warm. 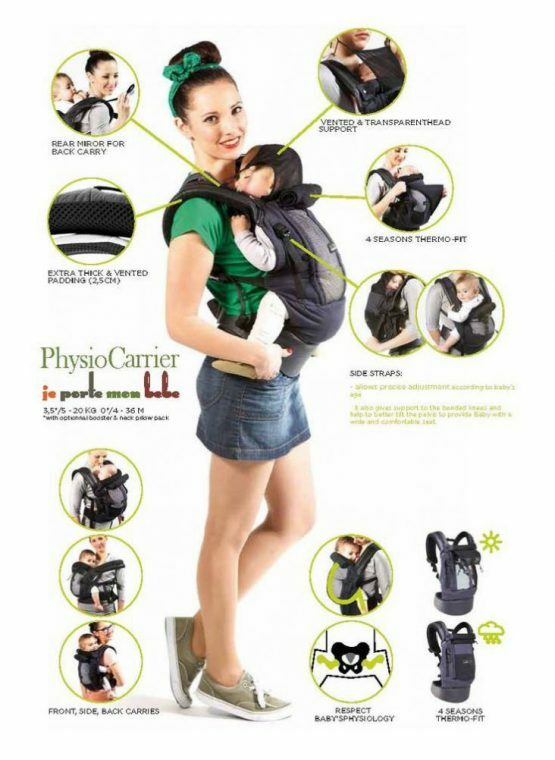 JPMBB work with all of their carriers to achieve truly ergonomic results for both carrier and child and this carrier lives up to their aims. 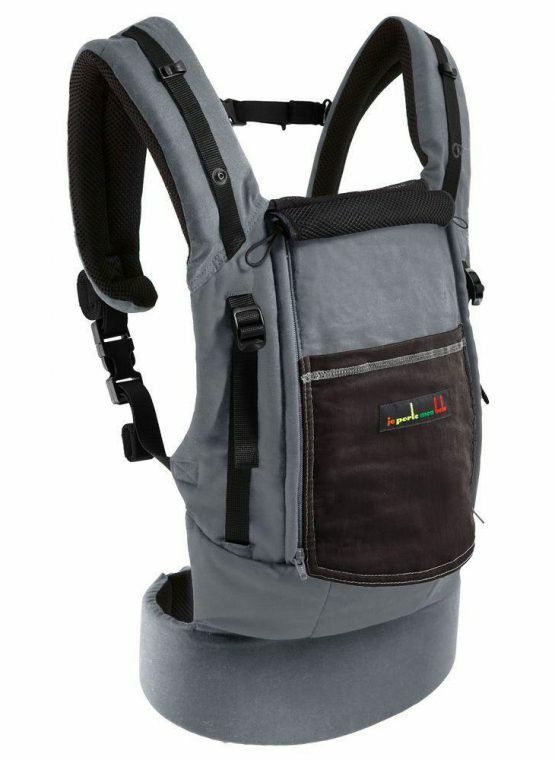 The opening of the pocket of the PhysioCarrier allows to ventilation tothe Baby and to adapt to any season. The transparency of the mesh allows you to see the position of the Baby inside, anytime. 2.5cm thick this extremely generous padding and breathable straps and waist provide comfort and an unprecedented lightness. 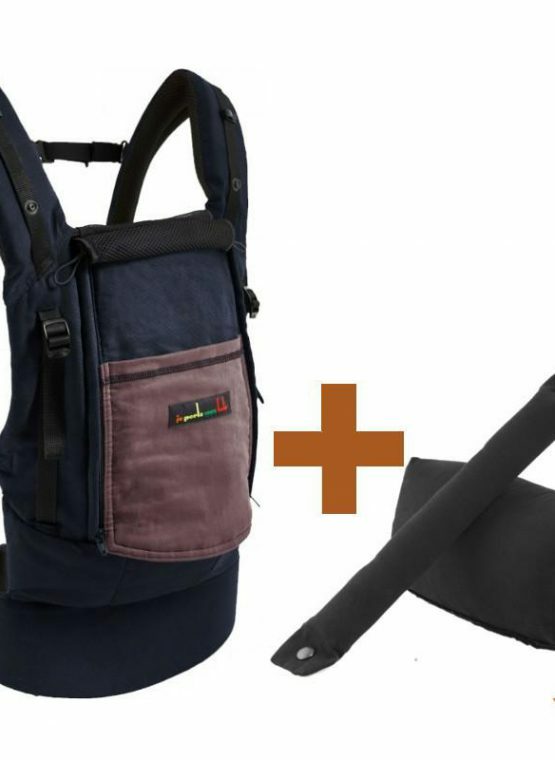 JPMBB has launched an evolving and four seasons baby carrier to carry on the front and side from birth* to 20kg, from 6 months for the back. Side Straps allow precise adjustment to the size of the baby, helps to better tilt the pelvis, and distributes the child’s weight from the shoulders to the waistband. The PhysioCarrier packs JPMBB’s dna into a soft carrier : physiological baby position, usability, comfort, colors. Design wise, users will find the famous pocket of the Original baby wrap and the artificial leather from the pad of Little Baby Wrap Without A Knot. JPMBB PhysioCarrier – Add Booster or Little Wrap Without A Knot or Stretchy Wrap for Half Price!